A catastrophic fire has engulfed the world-famous Notre Dame cathedral in Paris, toppling its spire and threatening the entire wooden frame of the building. 4. 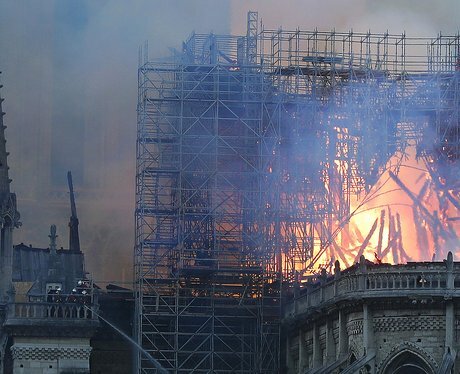 Bystanders watched in horror as smoke and flames rose from the 850-year-old landmark. 5. No-one is believed to have been injured. 7. French President Emmanuel Macron said he was "so sad tonight to see this part of all of us burn"
9. Michelle Obama, the former US First Lady: "My heart aches with the people of France"
12. French President Emmanuel Macron vowed that "we will rebuild Notre Dame"